LAND FOR SALE - KONDEK AREA. Pre-selling, new, or not, finding you the best deals is our commitment. We will always be the first to list, and sell them. Your dream house for you and your family is only one phone call away. Let us help you find it! South East Asia Property Services Co., (Seaps) aims to help people feel educated and secured about their property portfolio in our region. We do this through our well trained, highly motivated energetic team of realtors. 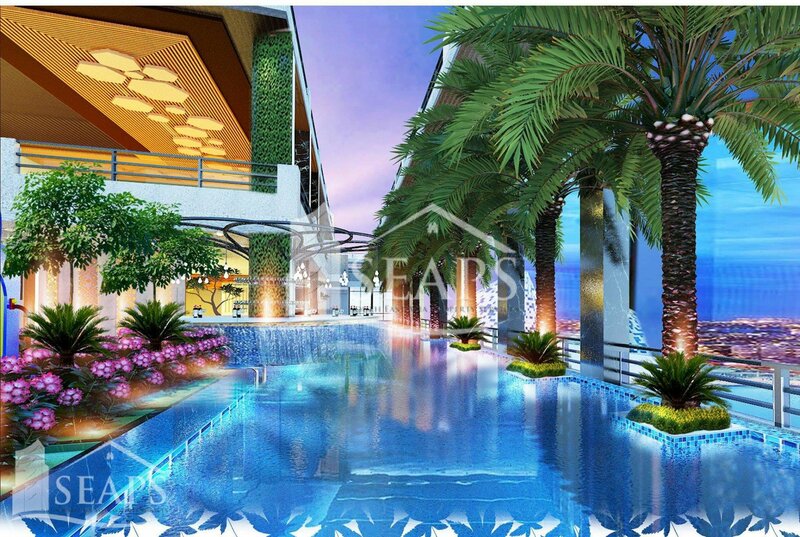 With in-depth knowledge of market conditions, SEAPS is a real estate company that ensures customer confidence and that you will find what you are looking for not only in Phnom Penh Real estate market, but also in all of Cambodia Real Estate market. SEAPS offers a tailored service and portfolio of properties purely focused on the Kingdom. With offices accross all Sout East Asia, SEAPS can show investment options and rentals in the whole region. Seaps success has come due to their well trained, highly motivated and energetic team of realtors. With in-depth knowledge of market conditions, SEAPS is a real estate company that ensures customer confidence. Seaps has a portfolio of rental properties, including land, houses, apartments and businesses, but we also sells all kinds of proper- ties and existing businesses. Seaps also has a targeted selection of new development condo offerings, for those looking for a strata titled investment property, or modern new home. And if you need to sell or rent your property, our team are ready to represent you – and make sure you get the best result for your property investment. "Thank you for making it painless, pleasant and most of all hassle free! It's really wonderful. Keep up the excellent work. SEAPS has got everything I need." "From the moment we walked into their shop on river side, to the signature of the contract, SEAPS was just fantastic. Really glad we decided to go with them." "We were a little bit worried about investing in Cambodia at first, but seein how easy the whole process was, and the deal we got, we will be back as soon as we can! " "Traveling to Phnom Penh to find a sound investment in Cambodia, Crispian was really professional, and provided us with the best advices. He gave us great advice on the cambodian market. A+ "
"We were desperately looking for the right condo to rent for our stay in Phnom Penh and the options matching our taste were quite limited. But SEAPS had the perfect match in their inventory. Blessing!" "Looking for the right house in SIhanoukville to rent is not easy. The amount of options is quite narrow but we find the perfect candidates with SEAPS and the process was quite stress free." "Me and my family were after the perfect house to settle in Phnom penh, and that whole experience can be stressful. Being asssisted and guided by Crispian made it really easier and stress free. Thanks!" "As a Real Estate professional myself i was pleasantly surprised with the high quality of services that seaps was providing and their knowledge of the market. Can't go wrong going with them"
"IF you are looking for the best agency in town look no more. SEAPS will be your go to team when it comes to all your real estate questions and needs." "Working with SEAPS to try to find the perfect piece of Land in Kampot was the right decision for us. They managed to find us the perfect section. Could not have gone better. "